In our article, what are printed labels, we briefly looked at the different types of printed labels as well as what these are generally used for. We also looked at how considerations such as, what surface the printed label will be applied on, what temperature the product will be stored in and how long the printed label needs to stay on the product are all important for the effective use of the printed label. Shrink Printed Labels (Shrink Sleeves) – These are labels that “shrink” or mould to the products form such as on a drinks bottle. These labels are very durable and available in just about all colours and patterns. They are usually designed to be very eye-catching and will contain all relevant information that a consumer needs. Pressure Sensitive Adhesive Printed Labels – The adhesive on a pressure sensitive printed label forms a bond by the simple application of light pressure. These labels can either be for permanent use such as safety labels for power equipment or temporary use such as masking tape and price marking labels. Cut and Stack Printed Labels – cut and stack printed labels are one of the most cost effective and popular types of printed labels on the market. These are often used in industries with high volumes of packaging requirements such as FMCG and beverages. These can either be square, die-cut labels or full wrap labels. They are usually supplied in a “stack” or bundle of printed labels which are placed in the magazine of the labelling machine where lines of glue are applied to the product before the label is positioned. 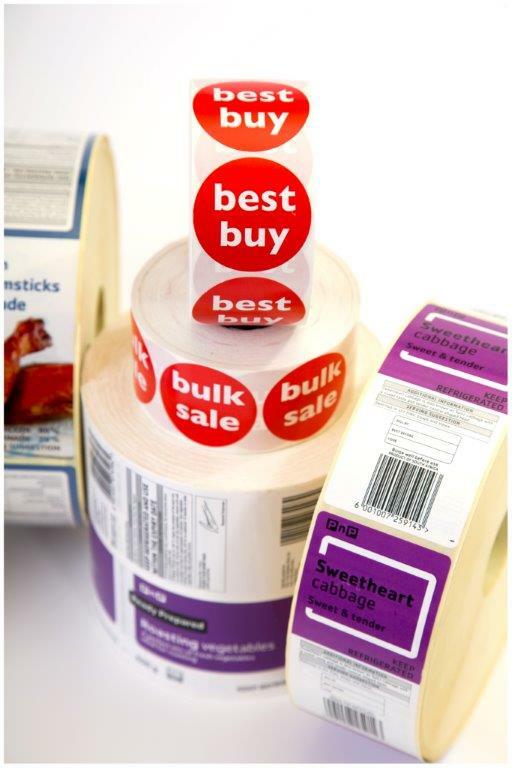 Roll Fed Printed Labels – Roll fed printed labels are another economical choice as they are simple labels that generally wrap around a container to offer full coverage. This is a popular choice for dairy products, canned products and beverage bottles. 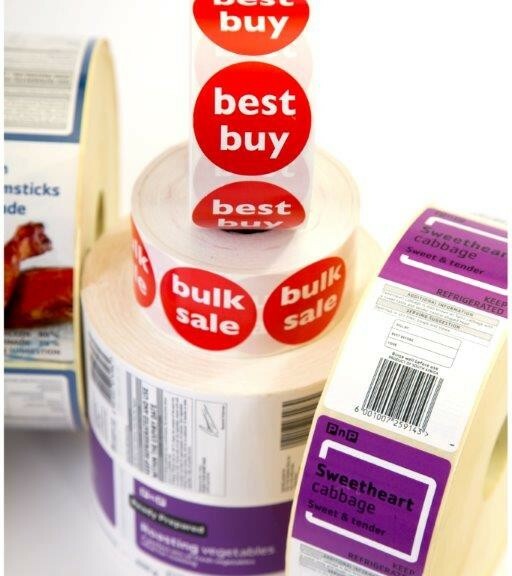 Roll fed labels are easy to customise and allow for quick changes to the printing process. Read more about the benefits of an effective printed label for your product for tips on how best to utilise a printed label as a marketing tool and how important packaging is in the overall image of your product. Rebsons Labels manufactures, stocks and supplies a variety Printed Labels. All printed labels are produced to the highest quality and standard. Standard as well as fully customised options are available. Speak to one of our sales consultants today to fulfil your printed labelling requirements.